Fed officials. Buying at dips is recommended for the day. 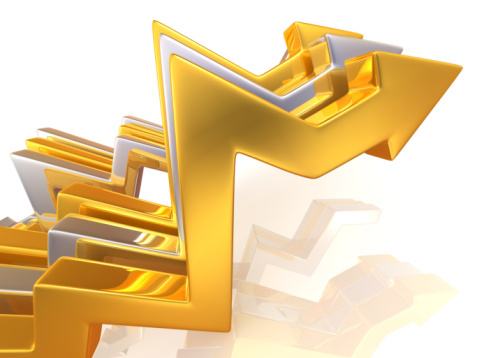 Coming back to the domestic market, MCX Gold was trading higher today. At 11.04 hours MCX Gold October contact climbed up by Rs. 317 and was trading at Rs. 30,634. The Gold intraday high was Rs. 30,699 and intraday low was Rs. 30,735. Gold prices have risen to Rs. 1684 in the October contract so far. MCX Gold December contract was at intraday high of Rs. 31,029 and an intraday low of Rs. 30,735. Currently the contract is trading with an increase of Rs. 320 at Rs. 30,997. So far the contract prices have increased by Rs.1,697, with 616 number of contracts been traded. Similarly, the MCX Gold Feburary contract is been trading high with an increase of Rs. 318 at Rs.31,338. The contract is trading at an intraday high of Rs. 31,338 and an intraday low of Rs. 31,102. 21 contracts have been trade in the Feburary contract so far with an increase in the price of Rs. 143. Now the white metal, Silver prices on MCX swirled today. The MCX Silver September contract was trading high with Rs.1,166 at Rs. 56,475. the intraday high of Rs. 56,481 and an intraday low Rs. 55,425. Silver prices have slipped by Rs. 3,925 in the September contract with 14682 contracts been traded. MCX Silver December contract surged, it was trading high with Rs. 1,201 at Rs. 58,344. The intraday high was Rs. 58,350 and intraday low was Rs.57,400. Silver prices have declined by Rs. 4,666 in the December contract with 2781 contracts been traded so far. MCX Silver contract climbed up Rs. 1056 at Rs.59,942. The contract touched an intraday high of Rs. 59,942 and an intrady low of Rs. 59,231. Silver prices have increased by Rs.3,147 with 121 contracts been traded so far. 1. MCX Gold: Buy on dips at Rs. 30,200, Stop loss at Rs. 30,070, initial target of Rs. 30, 350 and next target at Rs. 30,600. 3. Crude MCX: Buy on dips at 5320-5330, Stop loss 5250 target 5450-5500.